Axel Scheffler, illustrator of The Gruffalo. One of my favourite books of 2016 is a board book by the German illustrator Jörg Mühle, ‘Tickle my Ears’ from Gecko Press. 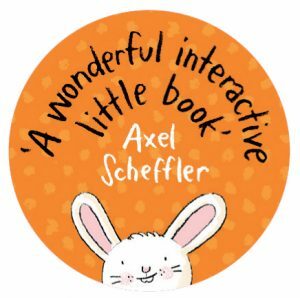 It’s a charming bedtime story for very young children and proof that books can be as interactive as an app with beautiful, heartwarming rabbit drawings by Jörg Mühle.